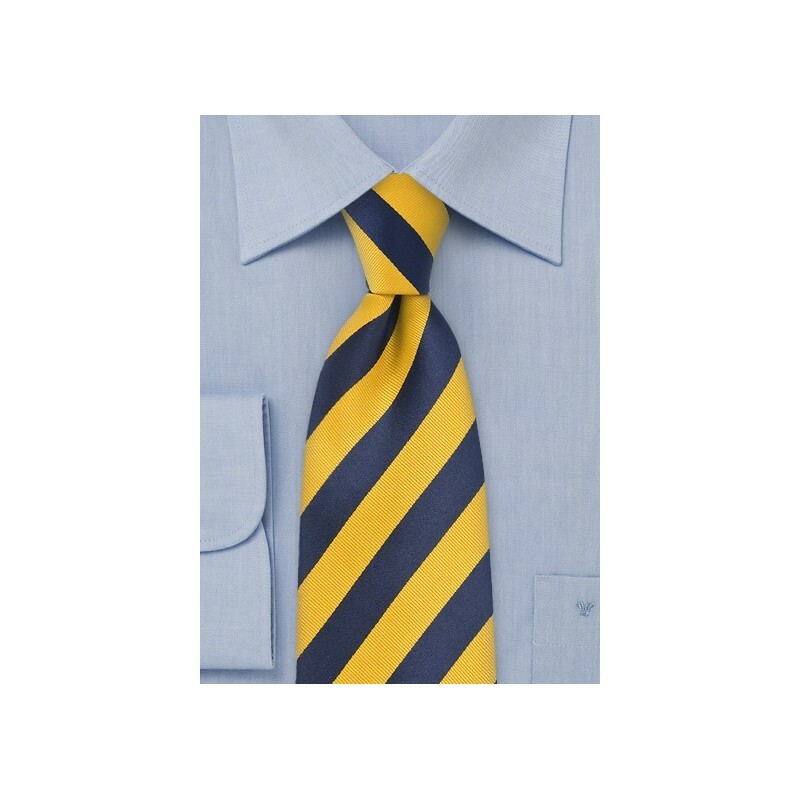 Maximize you boyish good looks with this classically American designed striped tie in regimental yellows and blues. This tie has all the classic elements of a well designed tie including a durable fabric and a timeless design. The colors of this tie make it an accessory to be reckoned with. 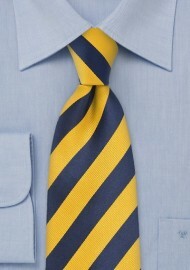 Give yourself an All-American look by pairing this tie with a white button down and navy wool suit. This tie is designed by Puccini and made from microfiber.